Even though members of President Reagan’s cabinet were worried about political backlash, Reagan fired 11,345 striking air traffic controllers who had ignored his order to return to work, busting the PATCO union. He banned them from federal service for life. According to Charles Craver, a labor law professor at George Washington University Law School, the move gave Americans a new view of Reagan, who “sent a message to the private employer community that it would be all right to go up against the unions”. The FAA then had to hire and train enough air traffic controllers to replace those that had been fired. This was challenging because it normally took 3 years to train a new controller. The fired controllers were initially replaced with nonparticipating controllers, supervisors, staff personnel, some nonrated personnel, and in some cases by controllers transferred temporarily from other facilities. Some military controllers were also used until replacements could be trained. The FAA had initially claimed that staffing levels would be restored within two years; however, it would take closer to ten years before the overall staffing levels returned to normal. PATCO was decertified on October 22, 1981. Some former striking controllers were allowed to reapply after 1986 and were rehired; they and their replacements are now represented by the National Air Traffic Controllers Association, which was organized in 1987 and had no connection with PATCO. The lifetime ban that President Reagan placed on the striking air traffic controllers was rescinded by President Bill Clinton in 1993. Here are Ronald Reagan’s Remarks and Question and Answer Session held on August 3, 1981. Question: What brand of sneakers did Run_DMC wear in the music video for “It’s Tricky”? Last Question: What game show featuring “physical challenges” debuted on Nickelodeon in 1986? The team with the highest score at the end of round two went on to the final challenge of the game, the obstacle course. Regardless of the outcome, both teams kept the money they had obtained, with $100 as the house minimum. There were also spinoffs of the show, such as Super Sloppy Double Dare, and Family Double Dare. Double Dare ended its run in 1993. Question: What game show featuring “physical challenges” debuted on Nickelodeon in 1986? Last Question: What Don Johnson song reached #5 on the charts? Question: What Don Johnson song reached #5 on the charts? Last Question: In Can’t Buy Me Love, what were “Ronald” and “Cindy” riding on as the closing credits role? Can’t Buy Me Love starred pre-McDreamy Patrick Dempsey as Ronald, and Amanda Peterson as Cindy. We all know that Patrick Dempsey has had a very successful career, and continues to have one. Amanda Peterson went on to make a couple of other movies that weren’t too successful. She stopped acting after 1995’s Windrunner. Question: In Can’t Buy Me Love, what were “Ronald” and “Cindy” riding on as the closing credits role? Last Question: What caped African-American superhero regularly appeared on Fat Albert and the Cosby Kids? The Brown Hornet was a show-within-a-show on Fat Albert and the Cosby Kids. The Brown Hornet appeared on the show from 1979-1984. It was Fat Albert and the gang’s favorite show. Whenever it was coming on, they would drop whatever they were doing, and go racing to the TV. The show was about a confident and daring, space-age African-American superhero who patrolled intergalactic space with his trusty assistant Stinger and robotic sidekick Tweeterbell, to search out and fight evildoers. Episodes ended with Brown Hornet facing some perilous cliffhanger he would be forced to overcome at the beginning of the next episode (which normally took him about two seconds). 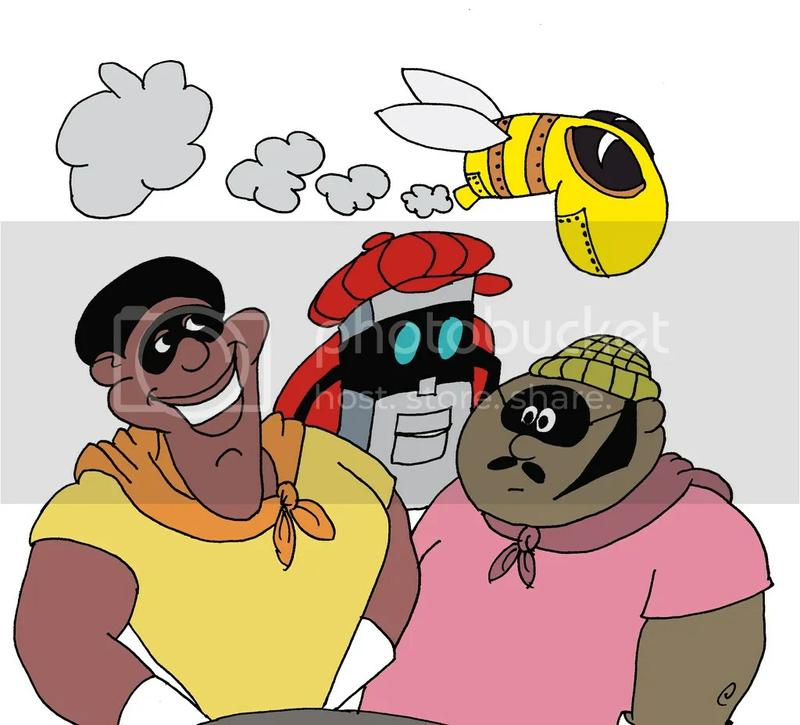 The Brown Hornet would always solve a dilemma that Fat Albert and the gang were going through. They would have to solve their dilemma in the same type of way. That was Al Michaels making one of the most famous calls in the history of sports for the greatest upset victory in the history of sports 31 years ago today, as the United States defeated the Soviet Union in the Winter Olympics in Lake Placid, New York. The Soviet Union team was considered to be the best hockey team in the world. They had won every gold medal in hockey since 1956 with the exception of one year. That one year was in 1960 which the United States won. Ironically, Herb Brooks, the 1980 U.S. Hockey coach, was the last player cut from that 1960 team. Brooks sat at home with his father as that team won the gold. That night, his father said to him that it “looks like Coach Riley cut the right guy”. Herb Brooks was already a self-driven person, but this served as further motivation. Today the Olympic hockey teams are allowed to be professional players, but in 1980, the Olympians needed to be amateurs. Although the Soviets were classed as amateurs, they were given fake jobs provided by their government which allowed them to play professionally in a well-developed league with world class training facilities. They had some of the best players in the world on their team. Meanwhile, Herb Brooks conducted tryouts in the summer of 1979. 9 players from the University of Minnesota (of which Herb Brooks was the coach) made the team as well as 4 players from rival college team Boston University. Since most of the players were rivals, they did not get along at first. But Brooks gave them a common enemy – himself – to make them get along and play as a team. Anybody who has gone through boot camp/basic training in the military can understand this pshychology. He was very hard on the players, and showed no mercy. It obviously worked. During exhibition play leading up to the Olympics, the Soviet team went 5-3-1 against NHL teams. A year earlier, the Soviet team beat the NHL All-Stars 6-0. The last exhibition game before the Olympics, the Soviets destroyed the U.S. Olympic team 10-3. This may have been a blessing in disguise as it may have contributed to the Soviets underestimating the U.S. team 2 weeks later. In the first game of the tournament, the U.S. tied a favored Sweden team 2-2. The U.S. actually tied Sweden with 27 seconds left in the game when they pulled goalie Jim Craig for an extra attacker. The tie was followed by a great 7-3 win over Czechoslovakia, which was considered to be the second best team after the Soviets. They then went on to win three more games in a row – Norway 5-1, Romania 7-2, and West Germany 4-2 to go 4-0-1 and advance to the medal round along with Sweden. In the other bracket, the Soviets ran through their competition: Japan 16-0, the Netherlands 17-4, Poland 8-1, Finland 4-2, and Canada 6-4. They advanced to the medal round along with Finland. The game between the U.S. and Soviets was scheduled for 5:00 PM on February 22. The U.S. tried to get it scheduled for 8:00 PM for American television. But, the Soviets refused as this would have been a 4:00 AM start for Russian viewers. ABC decided to broadcast the game on tape delay for prime time. Tretiak to tie the score with one second left in the period. The Soviet team played the final second of the period with just three players on the ice, as the rest of the team had gone to their locker room for the first intermission. The first period ended with the game tied 2-2. The Soviet coach, Viktor Tikhonov, replaced Tretiak with backup goaltender Vladimir Myshkin to begin the second period, which shocked players on both teams. Tikhonov later called the decision “the biggest mistake of my career”. The Soviets dominated the period, and outshot the U.S. 12-2, but were only able to score once – on a power play. The Soviets led at the end of the second period 3-2. In the third period, the U.S. tied the game just as a power play was ending. Later, Mark Pavelich passed to US captain Mike Eruzione, who was left undefended in the high slot. Eruzione, who had just come into the game, fired a shot past Myshkin, who was screened by Pervukhin. This goal gave the US a 4 3 lead, its first of the game, with exactly 10 minutes left. With time winding down, the Soviets attacked relentlessly. There was even a shot that went off the goal post. As the minutes wound down, Brooks kept repeating “Play your game. Play your game.” Instead of playing defensively, the U.S. continued to play offense, and even took a few more shots on goal. With 33 seconds left, Jim Craig kicked away a slap shot Then another shot was put on goal with 20 seconds left. There was a mad scramble for the puck, and the U.S. was finally able to clear it with 7 seconds left. As his team ran all over the ice in celebration, Herb Brooks sprinted back to the locker room, locked himself inside a toilet stall, and cried. In 1980, the medal round was a round-robin, not a single elimination tournament like it is today. Under Olympic rules at the time, the group game with Sweden was counted along with the medal round games versus the Soviet Union and Finland so it was mathematically possible for the US to finish anywhere from 1st to 4th. The U.S. team needed to win their game against Finland in order to win the gold. They were trailing Finland 2-1 in the third period. They came back and won the game 4-2, which gave them the gold medal. At the time, the players ascended a podium to receive their medals and then lined up on the ice for the playing of the national anthem, as the podium was only meant to accommodate one person. Only the team captains remained on the podium for the duration. After the completion of the anthem, Eruzione motioned for his teammates to join him on the podium. Today, the podiums are large enough to accommodate all of the players. The victory bolstered many American citizens’ feelings of national pride, which had been severely strained during the 1970s. President Jimmy Carter had just announced that the United States was going to boycott the 1980 Summer Games in Moscow because of the Soviet invasion of Afghanistan, and the country was faced with a major recession and the Iran hostage crisis. So, America was in desperate need of something to celebrate. The match against the Soviets popularized the “U-S-A! U-S-A!” chant, which has been used by American supporters at many international sports competitions since 1980. Question: What caped African-American superhero regularly appeared on Fat Albert and the Cosby Kids? Last Question: In Footloose, who played the preacher’s daughter, “Ariel”? Before playing Ariel, daughter of Reverend Shaw Moore, in Footloose, Lori Singer had also starred as Julie Miller in the television show Fame. Beastmaster and V star, Marc Singer is her brother, and director Bryan Singer is her cousin. Lori has not appeared in too many other movies, but she is also a Juilliard-trained cellist. She plays the cello in Short Cuts, Fame, and also in Sarabande, a 1997 short film by Atom Egoyan that is part of the Inspired by Bach series, which also features cellist Yo-Yo Ma. She performed as soloist at Carnegie Hall in January 2008, premiering a hymn written by Karl Jenkins in memory of Martin Luther King, Jr. Lori Singer does have an official web site, where she also posts a blog. Question: In Footloose, who played the preacher’s daughter, “Ariel”? Last Question: Who earned Oscar nominations for Working Girl and Gorillas in the Mist in the same year? Sigourney Weaver not only is known for her iconic role of Ellen Ripley in the Alien movie franchise, but she also was nominated for 2 Academy Awards in the same year – 1988. She was nominated for Best Actress as controversial hermit Dian Fossey – a crusading, heroic, mountain-gorilla, anthropology expert in the Rwandan rain forest in director Michael Apted’s biopic Gorillas in the Mist. She lost to Jodie Foster who won for her role in The Accused. Weaver was also nominated for Best Supporting Actress for her role as brokerage firm executive Katharine Parker in Working Girl. Co-star, Joan Cusack, was also nominated in the same category. The both lost to Geena Davis from The Accidental Tourist. Most recently, Weaver reunited with Aliens director James Cameron for his 2009 movie Avatar. Ivan Reitman has confirmed that Weaver will reprise her role as Dana Barrett in the rumored third Ghostbusters movie due for release in 2012.